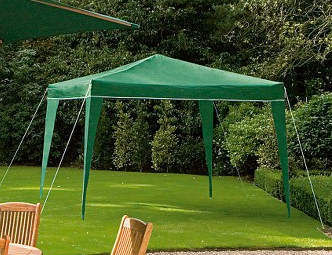 We can provide quality gazebo hire which are supplied in green and are size 2.5m x 2.5m (8 ft) square and 2.4m high. They are made of 100% polyester material which is shower proof. Please be aware that as with most gazebo`s, with extreme heavy rain the seams may be penetrated by water. Our gazebo`s are "pop up" with a sturdy steel frame and can be assembled in minutes. Ideal for BBQ`s, Corporate events, garden parties, outdoor promotions, event shelters. 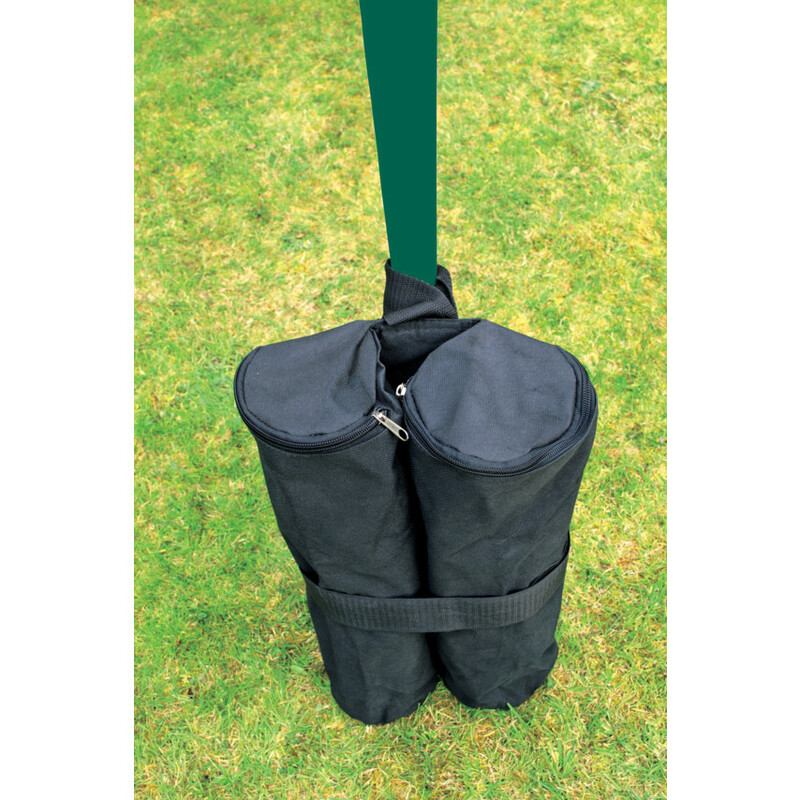 Whilst our gazebo`s are supplied with support ropes, in heavy winds or when sited on a hard standing such as tarmac, concrete or paving, you may require a set of 4 twin weighted bags if ropes cannot be secured to the ground. Thses are filled with sand and simply velcro to the gazebo`s upright legs to give additional support and stability.